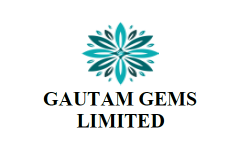 Business description - Gautam Gems is a manufacturer & trader of rough and polished diamonds. The company sells diamonds of multiple category, shape, cut, size and color. The range of diamonds it manufactures and trades in purely depends on the demand and supply of diamonds in the local markets. Primarily, Round Brilliant and All Fancy shape, 0.18 carats upto15.00 carats Size and D to N color with all type of Fancy color diamonds are demanded by its customers. The company maintains stock of its various shaped diamonds depending on the customer demand. It procures diamonds from suppliers based in the domestic market. In order to compete in the diamond market, the company has created and maintained an independent sales and distribution network for its products within the domestic markets. Further to ensure customer satisfaction, quality supply of diamonds, timely delivery of orders and purchase-sale of authentic diamonds, it deals with suppliers and customers on mutually agreed terms. Further, it has developed and maintained long-term and stable relationships with key suppliers and key customers although it has not entered into any formal contracts with either of them. Gautam Gems IPO allotment status is now available on Karvy Computershare’s website. Click on this link to get allotment status. business only in 8 months. fooling people by collection public money.